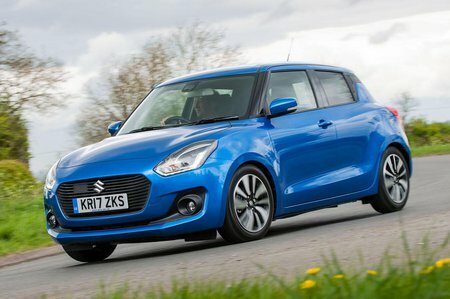 Suzuki Swift Performance, Engine, Ride, Handling | What Car? 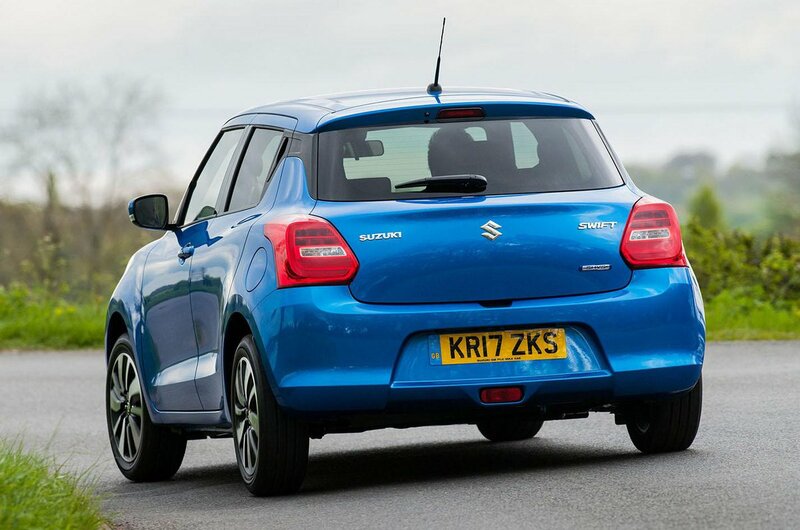 The Swift’s engine line-up is entirely petrol-fired and starts with the four-cylinder 1.2-litre Dualjet. This is the only option on base SZ3 models and while it may not be the strongest engine, it should be more than adequate for the urban cut and thrust. Unusually for a supermini, you can also get this engine with 4WD, although it does hurt performance noticeably, with longer up hill sections requiring you to select a lower gear. Next up is the 109bhp 1.0-litre Boosterjet that comes with SZ-T trim. This little turbocharged three-cylinder engine isn’t as efficient as the 1.2 but it is much peppier. It’s also the only engine that is available with an automatic gearbox, although you’ll need top-spec SZ5 trim for that. The automatic gearbox is relatively slick and responds well to inputs from the pull paddles on the back of the steering wheel. Finally, manual SZ5 Swifts come with the Boosterjet engine but with the addition of a mild hybrid system labelled SHVS (Smart Hybrid Vehicle by Suzuki). This adds a small battery and a combined motor/generator unit that’s able to recover energy when you decelerate and increase pulling power from low engine speeds. While you can’t run on electric power alone like some hybrids, this system does make the engine feel like a far bigger unit. You really don’t have to rev the motor hard to get it to pull you up to speed. It also improves economy and emissions. If there’s one area of the driving experience that’s a little disappointing, it’s the ride. Go over the kind of decaying roads that are all too common in your typical British town and the suspension struggles to deal with the sharpest bumps and potholes. Things do improve as speed increases, but expansion joints still spoil any calm there may be in the car. If you value comfort above all else, we’d look elsewhere. Cars such as the Ford Fiesta and Volkswagen Polo all manage to deal with UK roads more competently. While ride comfort might be questionable, the upshot is keen handling. Throw the Swift into a few twists and turns, and you’ll find the steering is nicely weighted, quick and makes placing the nose of the car easy. There’s not much in the way of body lean and there’s plenty of grip, too. If you do enter a bend too quickly, it doesn’t have any nasty surprises lurking, either. Therefore, we wouldn’t recommend the optional four-wheel drive system. It provides fractionally more grip in wet conditions, but the additional weight of the system blunts the Suzuki’s crisp and responsive handling. That said, even without the four-wheel drive system, the Swift is never quite as much fun as a Fiesta, a car that has more communicative steering and even quicker responses. So far we’ve only tried the SHVS equipped Boosterjet, an engine that impresses with its refinement. The start/stop system works quietly and sends very few vibrations through the pedals and steering wheel. The typical three-cylinder thrum is well contained and the engine fades into the background at speed. The Swift’s manual gearbox is also commendable, with a precise, slick action that’s easy to get along with. We’re yet to try the six-speed automatic option. That said, you hear a fair amount of road noise and plenty of whistling from around the door mirrors and door seals at speed when sat inside.